Hey Superwoman! I attended a fabulous tea party called “Women On Fire” at the Willard Intercontinental hotel in DC last weekend. These tea parties by the beautiful Debbie Phillips are about a lot more than tea. They are a chance for women from all walks of life to come together and share what they are on fire about. I think the most profound thing that I always walk away with from the Women On Fire events is that no matter how accomplished you are, we all share similar struggles as women. We are all trained to put on a happy face and present this well put together side of ourselves,even through immense pain, fear and disappointment. Well we all know that behind closed doors, we ain’t that well put together, now are we? Finding an awesome support system like Women On Fire where we can just be “us” is an important element that I encourage you to connect with. I have had many women ask me about Women On Fire Tea Parties, they are held in various cities. If you are interested in this awesome experience, let me know, it is truly life-changing. Who knew tea could be so soothing for the soul? I’m going to ask you to take a look at your web site today. Do you have a web site for your business that is generating income? Or do you have what I call an on-line business card? I find that people are not clear on what the purpose of a web site is. The majority of people believe it is a place to tell people to go and check out what their company, business or service is all about….and that is usually done by giving someone your business card with your web site listed, and then hoping they give you a call and want to buy from you. To take it a step further, people believe that the flashier their web site is with awesome graphics and music, the have a real edge up on their competition. Not so, those are not the things that turn your web site into a cash generating machine. The purpose of your web site should be to capture a prospect’s name and email so that you can continue to market to them. This is done by using an opt in box. In order for someone to actually give you this information, you need to offer them something in exchange such as a free report, or CD about your product. This is called lead generation. At the point a prospect gives you their name and email, they have just become a lead. It is then your job to communicate with that lead about your services and establish a relationship with them so that they get to know you. Rarely do people buy from you the first time, it takes multiple communications before most are ready to actually buy. For this reason alone, not having an opt in box and way to communicate with prospects is leaving thousands and thousands of dollars on the table. So what do you have? A lead generating web site, or just an on-line business card stuck out there in cyberspace? I have been working from my husband’s martial arts school the past week and watching the grueling training schedule the guys who fight have to go through. These guys train up to 3 times per day, stay on strict meal plans and work out like crazy…and many of them have full time jobs. When I see that kind of discipline and drive, it makes what I have to do to stay in shape pale in comparison. It seems many women have the same challenges. I am going to give you a tip. The meal plan that you stay on is what makes all the difference in the world. There truly is no point in working out if you blow all the hard work you put in by eating things that are unhealthy. Notice that I did not say diet, I said meal plan. I have never been on a diet in my life, instead the goal is to adopt a healthy meal plan and way of living that becomes a routine. When I go to the grocery store I do not buy things that are unhealthy and bring them into my house. That is the first step in removing all temptation. When I have to eat out, there are usually healthy choices in all restaurants you can make these days. Eating a well balanced meal plan makes you feel better and have sustained energy. Eating small meals every 2-3 hours keeps your metabolism burning fat all day. I currently eat five small meals each day and I am never hungry. I only drink water and stay away from soda and juices that are loaded with extra empty calories. Don’t overwhelm yourself on the quest to live a healthier lifestyle. Make small adjustments and changes and gradually add in bigger steps. I guarantee that any small step you take will immediately yield you positive results. And once you see that happening you will be motivated to take the next step! 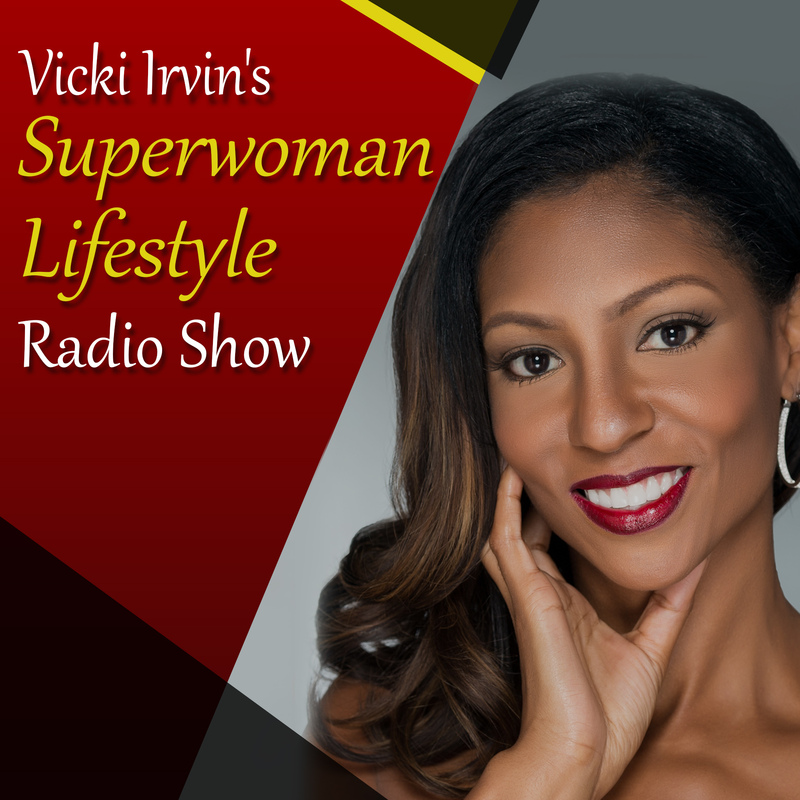 Vicki Irvin formerly a human resources executive, quit her 9-5 job to become a real estate investor. She created a multi-million dollar real estate coaching business in 12 months by applying marketing strategies and techniques that many have never even heard of. After being asked by women nationally how she managed to build and juggle a successful business, tend to her family and stay in such great shape, she decided to teach her blueprint for total balance to other women through Superwoman Lifestyle.